Ready To Eat Dal Fry is a popular moderately spiced north Indian dal consisting of a tasty combination of masoor dal and yellow moong dal. 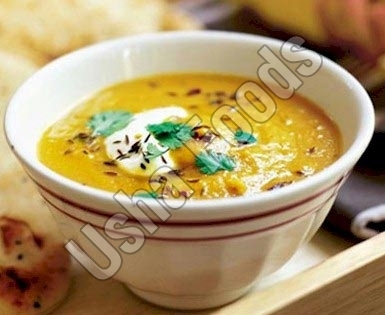 Our Ready To Eat Dal Fry is quick and easy to make. Just heat the vacuum sealed foil packet in boiling water, or empty the contents and microwave. Serve Ready To Eat Dal Fry with jeera rice or roti.